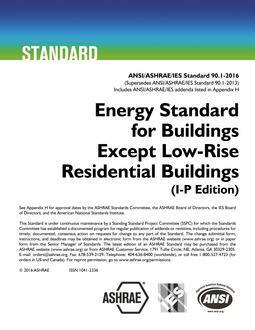 ANSI/ASHRAE/IES Standard 90.1, Energy Standard for Buildings Except Low-Rise Residential Buildings, has been a benchmark for commercial building energy codes in the United States and a key basis for codes and standards around the world for more than 40 years. The standard provides the minimum requirements for energy-efficient design of most buildings, except low-rise residential buildings. It is an indispensable reference for engineers and other professionals involved in design of buildings and building systems. Because the standard is written in mandatory language and therefore not intended as a design specification or an instruction manual, this User's Manual was developed to minimize multiple interpretations of Standard 90.1 that may occur. 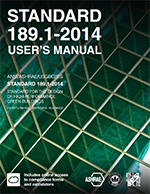 This Manual helps users of Standard 90.1-2016 understand its principles and requirements and how to comply with them. It is written in clear, direct language, making it understandable to professionals and laymen alike. It also includes measurements and calculations in both I-P and SI units, making it usable with either edition of Standard 90.1. 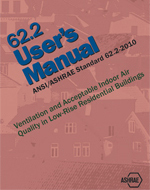 With sample calculations, application examples, useful tools, forms to demonstrate compliance, and references to helpful resources and websites, this Manual is intended for architects, engineers, contractors, code officials, and other building professionals, and is also suitable for use in educational programs. 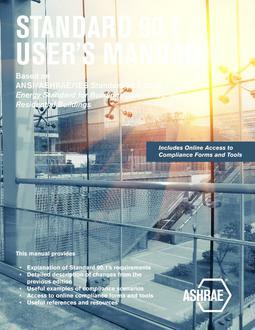 In addition, purchasers of this User's Manual can download interactive compliance forms and tools from ASHRAE's website.